Me and my friends started teaching the slum kids living in the vicinity of our college - TERI University at Vasant Kunj, New Delhi (INDIA). It was in July 2015 when a student Amar aged 10 years was diagnosed with AML (BLOOD CANCER). Since August, Amar had three Chemotherapies. Due to illness, he could not attend school. His parents are labourers and work on daily wages. They hardly make money to save for his treatment. The medical and other expenses till now is majorly funded by some NGOs and partially by us. As per the concerned doctor Dr. Sameer Bakshi, Amar is showing signs of improvement and is now capable to undergo Bone Marrow Transplant. 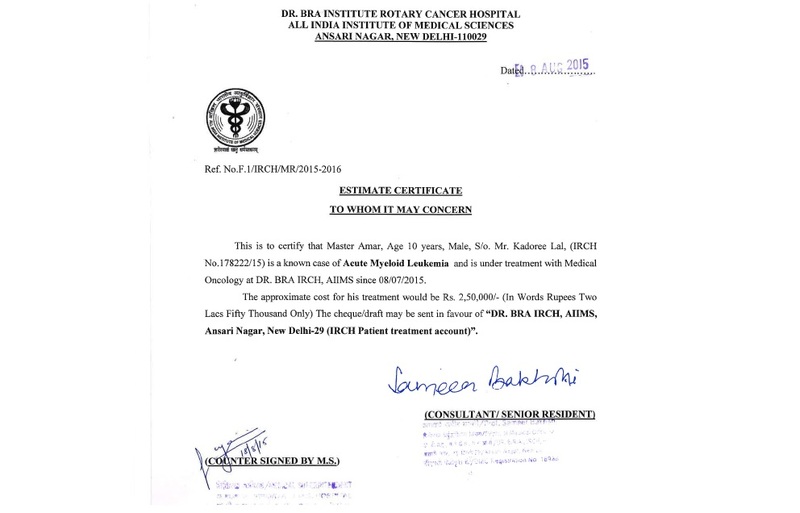 For the transplant, the tentative date is 15th Feb 2016, which may be extended due to unavailability of funds (Estimated INR 2,50,000.00 - enclosed Estimate Certificate from the hospital). 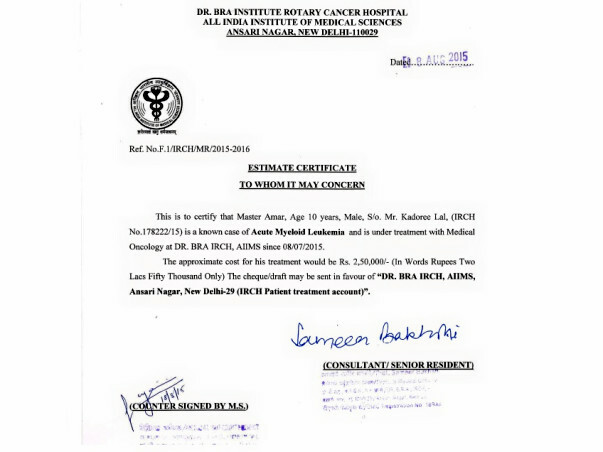 We humbly request you to contribute and Help Amar to Fight Cancer. I am Boaz Eapen and I met Amar, a child having blood cancer. I also met Navin and Sarvesh, who are fundraising for Amar. Amar’s parents came to Delhi in search of jobs. They work as daily-wage labourers now. Amar’s mother Uma works nearby the place they are staying at as that would enable her to take better care of Amar. She earns Rs. 200 per day and his father earns around Rs. 300 - 400 per day. Amar’s health problems started 7-8 months ago. Uma can barely manage to make ends meet. She wants to avail treatment for her son at AIIMS, New Delhi. However, that seems like an arduous task, considering the family’s low income. Uma is grateful to Navin and Sarvesh for their help as it was very difficult for her to raise money and get the right treatment for her son. 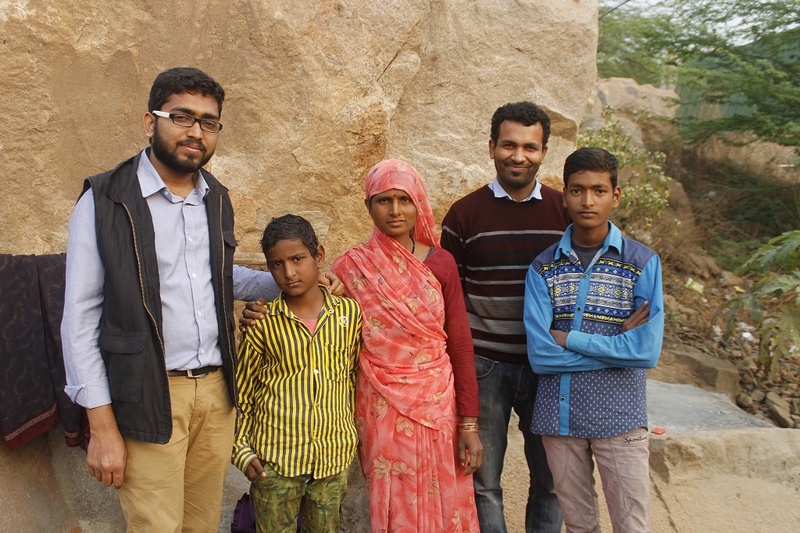 While Navin and Sarvesh were doing their internship after the completion of their course at TERI University, they spent some time with labour families, teaching slum kids. During their teaching sessions, they observed that Amar used to be frequently absent. Upon inquiring further, they came to know that Amar’s medical reports suggested that he had cancer. His parents took him to several hospitals, including the Safdarjung hospital. 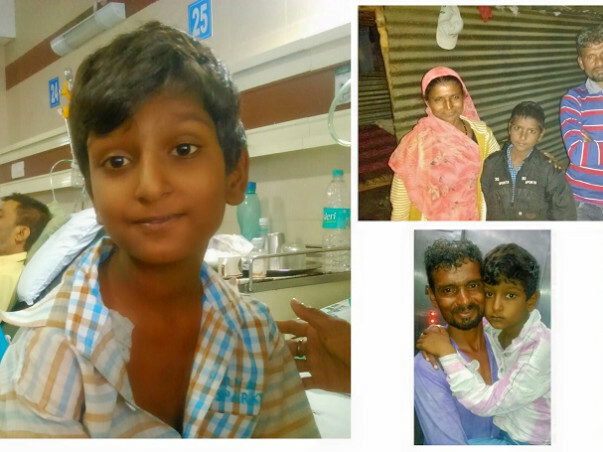 The doctors at Safdarjung advised Amar’s parents to get him treated at AIIMS, and since July 2015, Amar is getting treatment at AIIMS. The doctors administered the cells of Amar’s family members. However, only Uma’s cells turned out to be a partial match. The doctors are still looking for a donor whose cells will match perfectly. The next visit to the doctor is scheduled on 11th May this year where they will study the changes occurred in Amar due to the treatment. Amar has undergone three chemotherapy sessions until now and the family is not in favour of undergoing more as there are many side effects of Amar. Fortunately, Amar’s condition is a bit stable now. The doctors also told Sarvesh that they might have to undergo exorbitant expenses, depending on the transplant. So, they are hoping for the best and waiting for the next visit with the doctors. Meanwhile, the family is also trying to get a ration card made to try for government funds as they would require more funds in the coming days. Amar’s name was cut from the school when he was not able to go to school over a long period of time. His family was able to him enrolled back to school recently. Thank you so much all for the great support. We have crossed INR 1 Lakh mark. It has been a great journey so far. We are sure that with such blessings, Amar will soon be free of cancer. Get well soon Amar. All the best Navin for your campaign.